BEST DEER Hunting Land in Southern Illinois! WE offer the BEST DEER HUNTING LAND IN SOUTHERN ILLINOIS, and Southern Illinois has the best overall prices in the state! Check with us for all you needs. We currently offer the following tracts: 13.4 Acres wooded, 37 Acres with 20 acres tillable for $99,900, 60 Acres of Woods (SOLD) , 76 Acres of Mississippi bottom land,, 268 Acres with 238 tillable all at $5000/ac., and 70 Acres (SOLD) in great location! We have a great 237acre hunting parcel with good hardwood growth for on it. ONLY $1495/ac. Steve Landreth is one of the Best Experienced Prodcuers as a farm and land real estate agent realtor. We maintain a data base of prperty for sale in the region and have the experience you need to find the right place! We have Hunting Land next to Shawnee Natinal forest. Deer hunting is a growing sport in the region and we offer several tracts of hunting land currently. As one of the top realtors in Southern Illinois selling land, let me help you find the right tract! Check our listing data base to the left and then call us for your exact needs. We may have tract divisible! 618-751-3025 or email to sold@stevelandreth.com. LAND FOR SALE IN SOUTHERN ILLINOIS INCLUDE CURRENT HUNTING TRACTS AVAILABLE FOR SALE as follows following: 8 WOODED ACRES w/water @$32,000- SOLD!, 48 WOODED ACRES - SOLD!, 65 ACRES w/$2400 CRP INCOME! Excellent deer hunting acreage and turkey hunting, 37 ACRES with 18 acres tillable bottom soils, 51Ac. 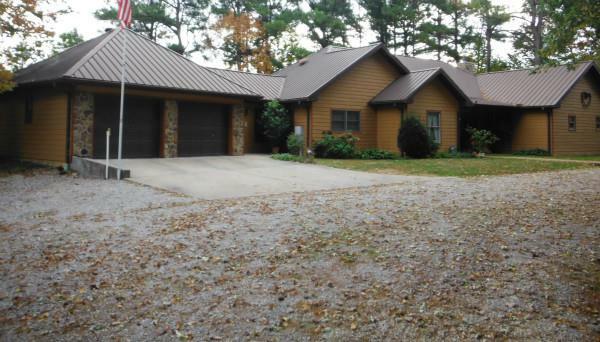 Union Co. home, stocked lake, 13 deer stands, cabin-$279,900! 6 ACRES all wooded -great campsite! $22,000! SOLD 10 ACRES These are affordable hunting tracts and some lie next to Shawnee Forest or Gov't lands! Check out today! MORE COMING WEEKLY! PLEASE SIGN UP FOR ADVANCED EMAIL LISITNG NOTIFIER TO GET ALL NEW LAND LISTINGS!